It all began in 1908 when Bishop Henry J. Richter along with nineteen other founding fathers authorized the building of a much needed Catholic Church in Ravenna. 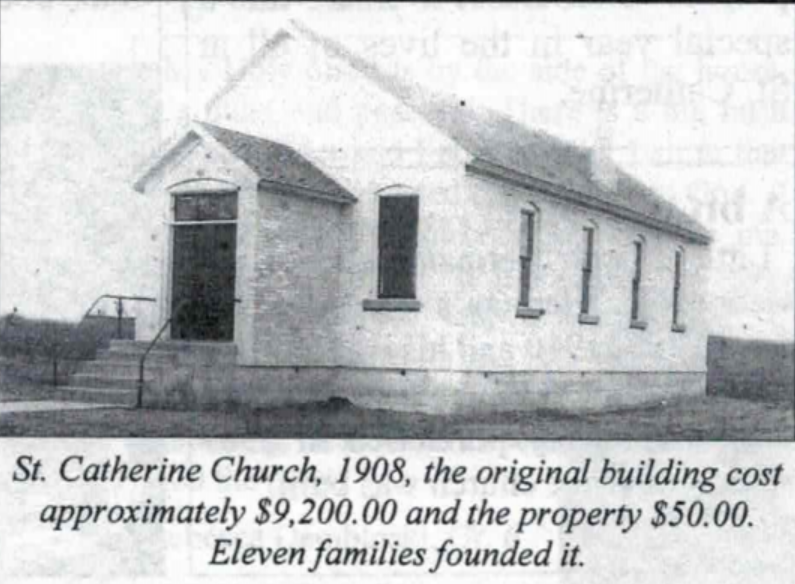 These members began construction, and on the 28th day of October 1908 St. Catherine's Church was dedicated by Bishop Richterto the one, true, and only God. This dedication brought together over six-hundred people from the area. Fast forward to 1934, the parish grew, a rectory was built in that year, and Fr. John Szydlowski became the first resident pastor. In 1936, Fr. Stanislaus Betka became pastor and served until 1945, but returned to Ravenna in 1949 where he served until his retirement. "A school is the heart of a parish." Thus Bishop Francis J. Haas expressed his desire to have a school at St. Catherine's. Construction of the school and convent was completed, and on September 6, 1951 classes began for 118 students. Enrollment reached its peak in the fall of 1957 with 270 registered students. Need for additional space led to the construction of the parish hall in 1955 for the cost of $66,000. February 1964 led to the outgrowing of the original church. Approval from the bishop to construct the present church was received. The first Mass was celebrated on Christmas Eve in 1964 by Father Betka. Dedication by bishop J. Allen Babcock was held March 28th, 1965. More modernly, St. Catherine's celebrated a hundred-year centennial in 2008 with a year of festivities. In 2012 Bishop Walter Hurley named Fr. Fred Brucker as the first pastor of the cluster parishes of St. Catherine, St. Francis Xavier, and St. Joseph. What was once three quaint rural churches is now one thriving Catholic community together celebrating the one, true, faith.